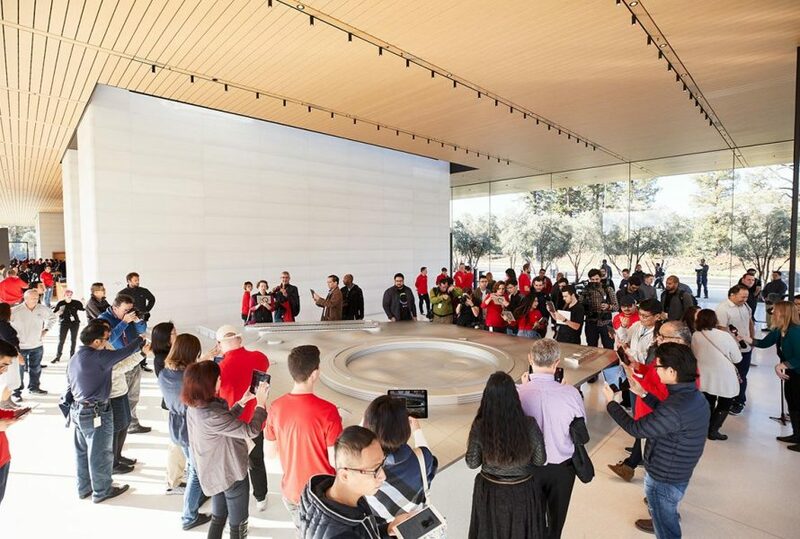 Visitors hoping to catch a glimpse of Apple’s futuristic new US$5bn (€4.18bn, £3.7bn) HQ can now get closer than ever before, with the opening of a new visitor centre overlooking Foster + Partner’s vaunted doughnut-shaped design. 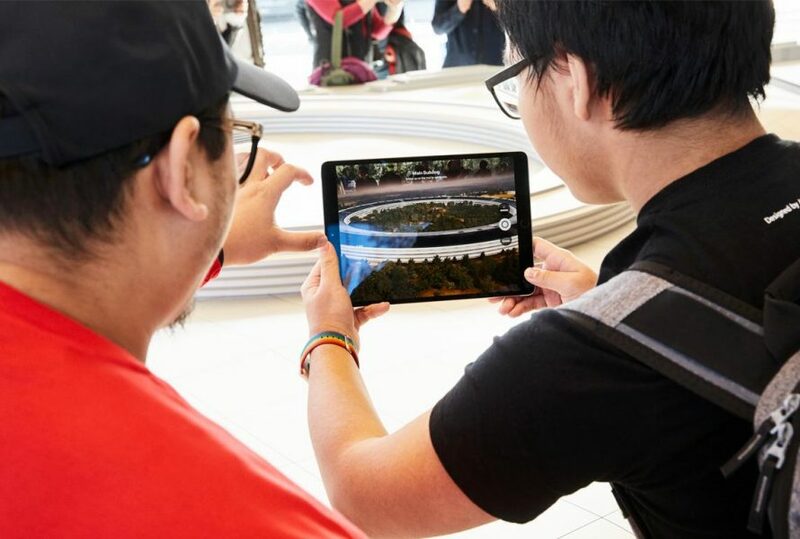 Designed as “an exclusive public gateway to Apple Park”, the centre opened to the public last week along Tantau Avenue in Cupertino, California. With Foster + Partners again on design duties, the building is formed of a transparent envelope situated below a cantilevering carbon-fibre roof, which hosts an expansive terrace offering a panoramic view of Apple Park and the surrounding landscape of olive groves and drought-resistant trees. Inside, softly-lit timber has been added to create an inviting warmth, while the full-height glazing dematerialises the building volume. Visitors are greeted with a large-scale model of the centre’s high-profile neighbour, which is seemingly suspended in mid-air and can be brought to life by augmented reality technology. 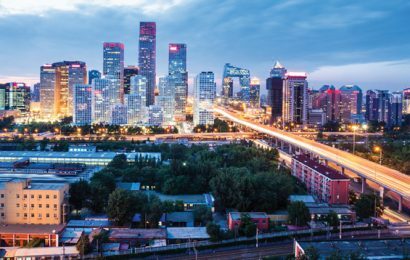 Other amenities include an Apple shop and a café with outdoor seating areas. Several elements from the main building are replicated to give people a taste of the precision detailing at Apple Park. The design of the staircases is inspired by similar ones next door, clad with the same quartz stone, and the countertop at the café is made with the same marble as the HQ’s main restaurant. The main draw is the rooftop terrace, located 23ft (7m) above the ground and shaded by a delicate screen of thin, curved carbon-fibre fins. 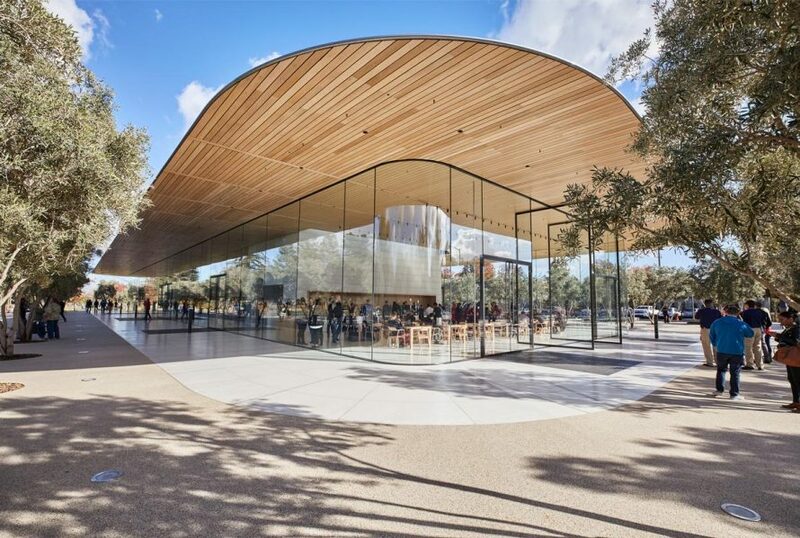 “The idea was to create a delicate pavilion where visitors can enjoy the same material palette and meticulous detailing seen in the Ring Building in a relaxed setting, against the backdrop of Apple Park,” said Stefan Behling, head of studio at Foster + Partners. 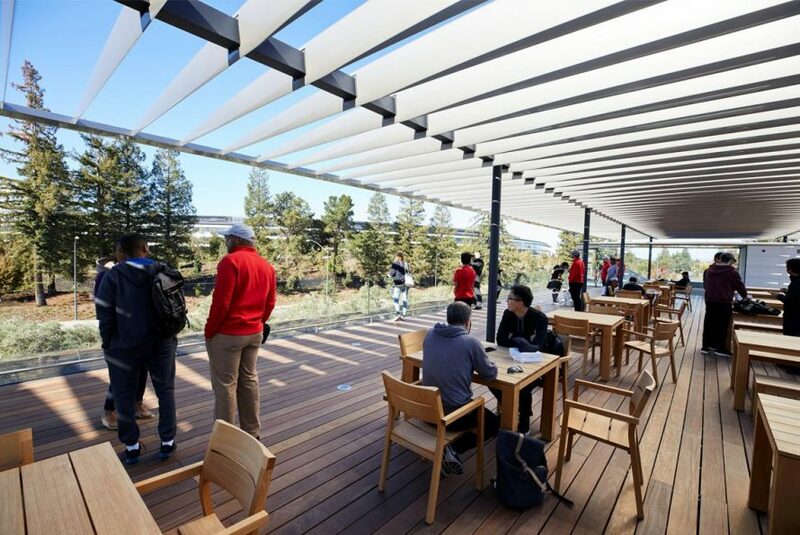 The HQ, which will house 13,000 Apple employees at peak capacity, welcomed its first occupants in April. 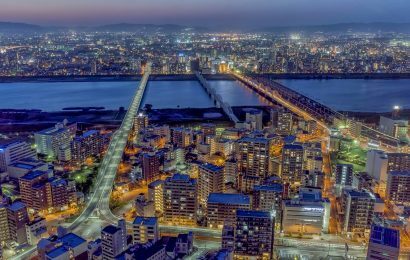 Facilities include a 100,000sq ft (9,300sq m) gym, two miles of running and walking paths and a 1,000 seat theatre named after company co-founder Steve Jobs, who died shortly after presenting the plans for the campus in 2011. His successor as CEO, Tim Cook, recently launched Apple’s iPhone 8, iPhone 8 Plus and iPhone X from the stage.